Discover the 3 secrets we've already shared with over 30,000 Ladies in our Workshops about a new way of cooking & eating. Hi, I'm Anna, and I'm so glad you're here! I've got Masters Degrees from Stanford & UC Berkeley. 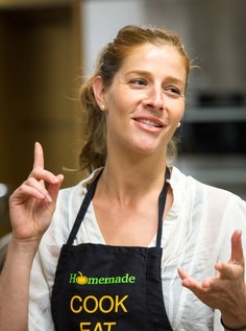 Over the last 5 years, as the founder of Homemade Method™, I've helped change the lives of tens of thousands of ladies in their 50s, 60s & 70s by transforming their cooking & eating habits. During that time, I've noticed that one of the HUGEST benefits our Members have experienced has been with their high blood sugars, pressure & cholesterol. With the right system, it honestly isn't hard to do - anyone can do it! So I'm proud and excited to present our live workshop "Cooking is the new treatment for high blood sugars, pressure & cholesterol". I can't wait to spills the beans in this live Workshop! We'll do live Q&A & there's limited places - so register Now! Scroll up to register - Limited places available!